Each rider will be provided with a swag bag full of goodies. We have accumulated over $700 dollars worth of door prizes to hand out to participants. This means that no matter how well you do in the race, you have a very high chance of winning something. 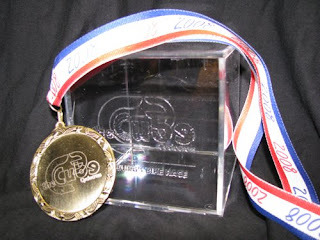 Trophies and medals will also be awarded to all placed riders after each race.